Wood table and chairs will prove a great addition to any home interior. 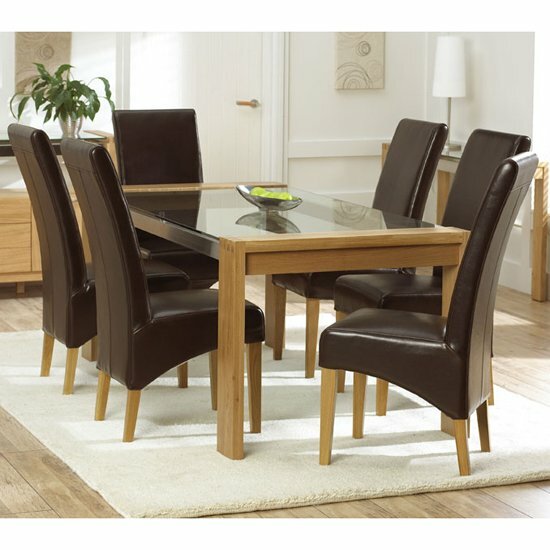 Whether you are looking for a kitchen or dining room set , wood is always one of the best options to go with. First of all, any wood furniture features several stylish designs, suitable for a variety of interiors; and, next – wood is one of those materials that have a number of great advantages, especially if compared to other common material used in the furniture manufacture. Classic wood table and chairs, featuring a natural shade, will be perfect for any traditional interior, as well as for some modern ones. The shades and shapes to choose from are numerous, and your choice options in this category will be very vast. Reclaimed rustic wood looks great in a suitable interior. With a little imagination, a set of rustic furniture can turn any room into a stylish masterpiece. It looks especially impressive in spacious rooms. Normally, MDF furniture is covered with a glossy lacquer finish. However, it is also possible to find some genuine wood items finished in high gloss. As a rule, it is going to be reclaimed wood. The solution is suitable for contemporary environment – and sometimes also mixed one. Finally, there are plenty of different vintage solutions, designed in various styles and featuring a wide range of wood shades to choose from. Wood is one of the most durable natural materials. Sure, the ‘degree’ of durability will depend on the particular type of wood table and chairs. Oak, for instance, is one of the strongest materials used in the interior decoration. Yet, walnut, pine, ash, birch, as well as some other common wood table and chairs types are very strong, too. Given that wood is one of the most durable materials available in the furniture market, few manufacturers compromise on build and assembly quality. So, in most circumstances, not only the material but also the construction will be highly durable. Even non-tarnished wood has plenty of shades to choose from. Plus, wood can be lacquered, painted, tarnished, etc. And, shapes are also very different from set to set. Finally, if you are looking for high quality wood table and chairs, you should shop with reputable stores – especially if you are ordering online. In the UK, Furniture in Fashion is one of the most reliable e-commerce stores to place your orders. First of all, the company has been in the market for years, and it has managed to establish great infrastructure, connect with a range of trustworthy suppliers, and gain customers’ trust all over the country.